This song was originally recorded by John Lomax in 1934 and featured Kelly Pace and Arkansas state prisoners. That’s not a cool band name; the father and son musicologist team of John and Alan Lomax often visited prisons to record inmates. On one such visit they met a young man by the name of Huddie Ledbetter, known to history as Leadbelly. No one’s quite sure how he got the nickname: some say he took a round of buckshot to the stomach, some that it was a dialectical change from “Ledbetter”. Bluesman Big Bill Broonzy claimed it came from his…reluctance to engage in chain gangs, as if with “a stomach weighted down by lead”. Find out more about Lead Belly’s prison exploits right here. 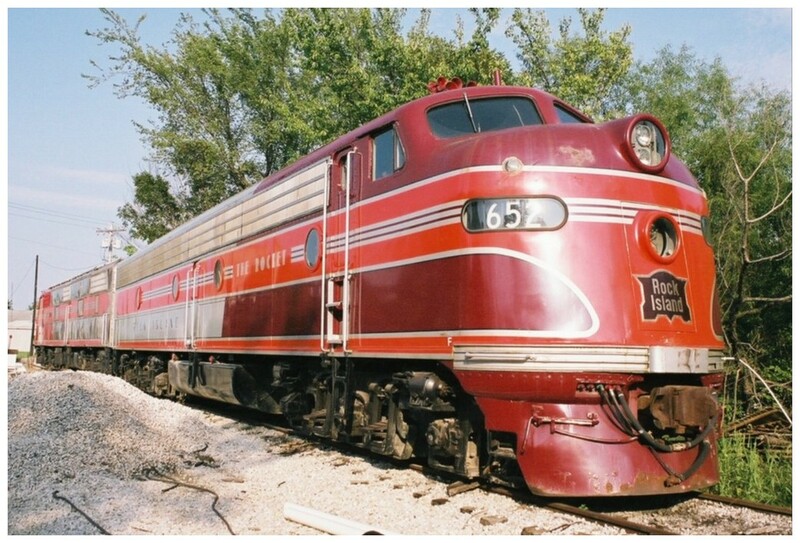 Image: “Rock Island E-8 #652 with E-6 #630 at Midland Railway, Baldwin City, KS“. Photo by Terry Cantrell and originally posted to Flickr. This file is licensed under the Creative Commons Attribution-Share Alike 2.0 Generic license. ← Previous: Casey At the Bat…How About That? !